As we enter the New Year I thought I should get back to writing my Blog. As you know I usually only write a Blog when I have a story to tell or a rant, but time to get with the modern world and write more (well I am an author you know)! One of my 2018 ‘resolutions’ (and I use the term loosely) is that I need to streamline everything. I am constantly being pulled from pillar to post and, as I have the attention span of a gnat this is quite a juggling act. 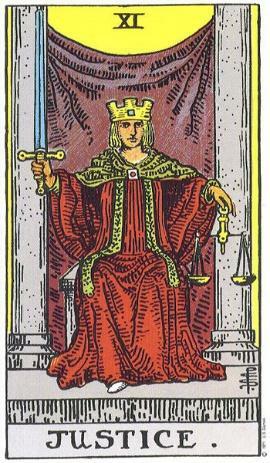 One thing I have vowed to do, is to pull a Tarot card each day and today I pulled The Empress, which is interesting as I was prompted to write before I pulled her, I always say the cards know us better than ourselves. But I digress. My dilemma is, what goes? The last two years has been about releasing toxic people, now it is about working smarter. What is your big change going to be this year? 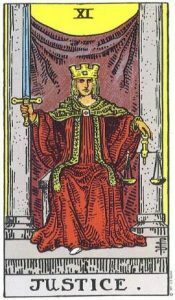 2018 = 11 which means we are in a Justice year, it will be interesting to see what happens in the world of politics and our personal lives as we strive to find balance in all we do. This year brings two new venues for the London Tarot Festival and the UK Tarot Conference, both venues bigger and more fabulous than before. I can remember the early years with the conference where I would have sleepless night’s months prior to the event, my main concern was would anyone turn up. Now 15 years down the line the registration is closed weeks before as we are fully booked. The Festival, (in partnership with the ladies from The Atlantis Bookshop) has grown in 3 years to the extent we have had to find a bigger venue. The bottom line is that Tarot is shining its light, no longer is it ridiculed as a nonsense fortune telling tool, but now as tool of guidance and insight. Just last year we saw Dior using the Tarot as a design for its catwalk show http://www.harpersbazaar.com/uk/fashion/fashion-news/a14378949/maria-grazia-chiuri-explains-why-were-all-obsessed-with-tarot-cards/) a few years before Dolce & Gabbana produced a range of major arcana perfume, these are just a couple of high profile companies who are seeing the value of Tarot’s deep esoteric history. Tarot has now emerged from the shadows. WIN: 5 lucky people to win a one card guidance reading for the year ahead. This entry was posted in blog and tagged Resolutions, Tarot by Kim Arnold. Bookmark the permalink.